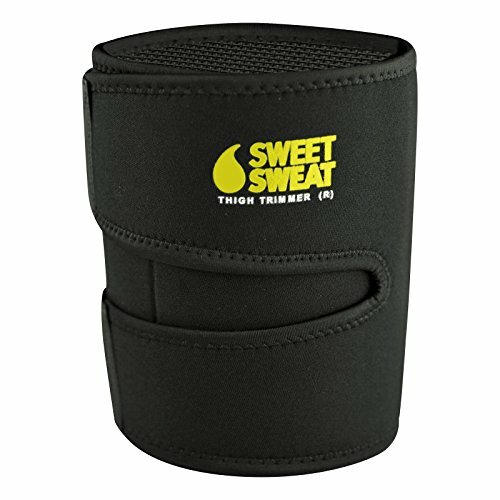 Sweet Sweat Thigh Trimmers are designed by to be worn during exercise. The trimmers contoured fit and flexible neoprene allows for a full range of motion during your workout. Remember not to wear the trimmers too tight as this may hinder circulation. Forget those cheap, thin Thigh Trimmers! Our Sweet Sweat Thigh Trimmers are made with the highest grade CR Neoprene for Superior heat insulation and lasting wear. 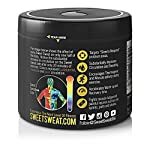 Use Sweet Sweat in combination with your Thigh Trimmers during exercise and you will be amazed how much more sweat you will achieve than using the trimmers alone! Before exercise, apply an ample amount of Sweet Sweat to thigh area without rubbing into the skin. Place Thigh Trimmer over Sweet Sweat and begin your workout. If you're not thrilled with your Sweet Sweat Thigh Trimmer, return it within 90 days of delivery for a money-back refund. Please do not wear over any open wounds, or if you're susceptible to dermatitis or allergic to Neoprene. Do not wear for more than 2 hours as Neoprene is designed to be worn for only short periods of time. Do not wear while sleeping. If you develop a rash discontinue use immediately. New Neoprene often has something similar to a "wetsuit smell". Don't worry; this will dissipate over a short time by washing and normal exposure to air.